Versatile, light, warm and safe are features that Livinroof provides. Give homes the wow factor that it deserves with a Livinroof system. 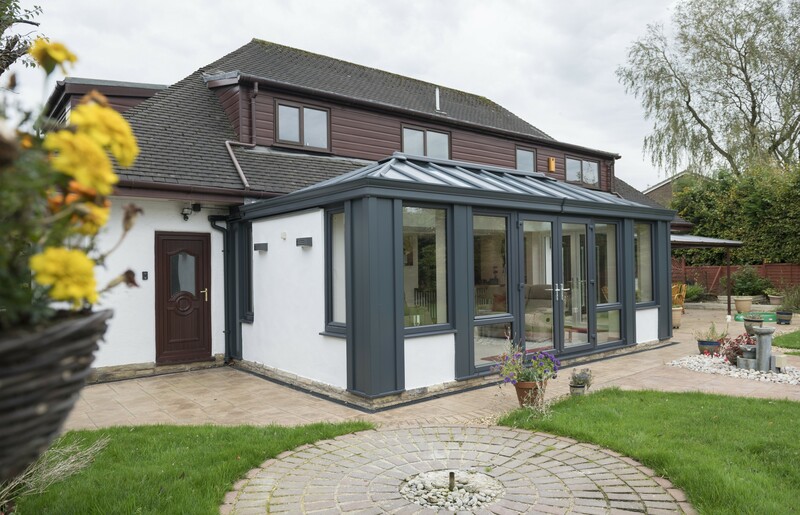 The glass panels can be inserted to replace any of the grey roofing panels, and in any shape – enabling you to maximise the light in your room to produce a contemporary design not easily achievable with other conservatory roofs. Your newly-installed Livinroof will truly transform your interior space. Inside, the Livinroof is stunning. It can deliver a magnificent vaulted ceiling and incorporates an internal pelmet around its perimeter, into which lights can be installed. At the ridge of the Livinroof, you can insert or hang lights in places you otherwise wouldn’t be able to on a vaulted or suspended ceiling.